UNINSTALL – Uninstall the existing avast!, reboot, and delete the “AVAST Software” folders under “C:\Program Files” and “C:\ProgramData” Microsoft uninstaller always leaves the old directories for the purpose of System Restore. Go look, every program you have ever uninstalled is still there! 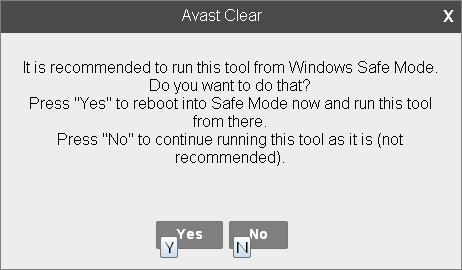 REMOVAL TOOL – The last option is to use ASWCLEAR.EXE process described below. NOTE: ASWCLEAR.EXE supports all avast! 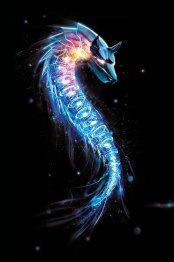 versions, including consumer (Free, Pro, Internet Security, Premier) where AVASTCLEAR.MSI is for Endpoint Protection ONLY! 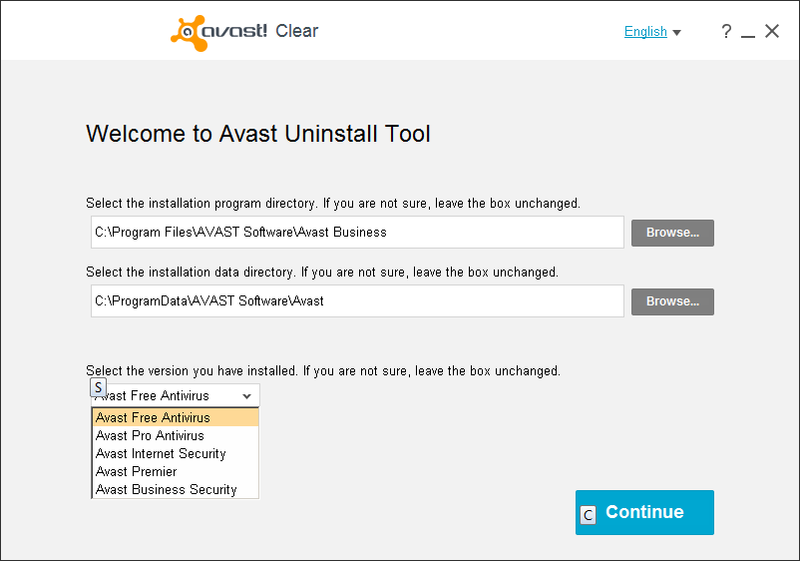 Next step is to clear the checkbox “Enable avast! Self-Defense Module”. This prevents one from having to run the avast! removal tool in safe mode! 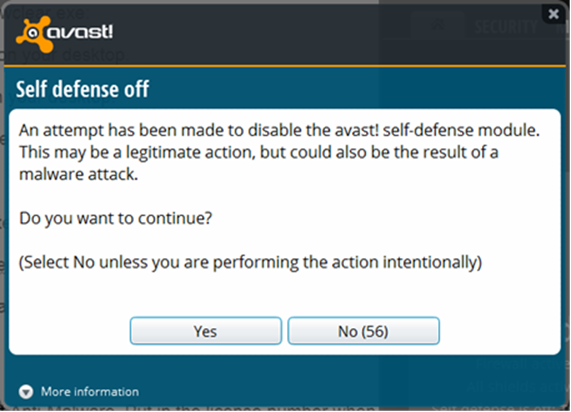 On this screen, you will have to choose the version of avast! that we just un-installed. 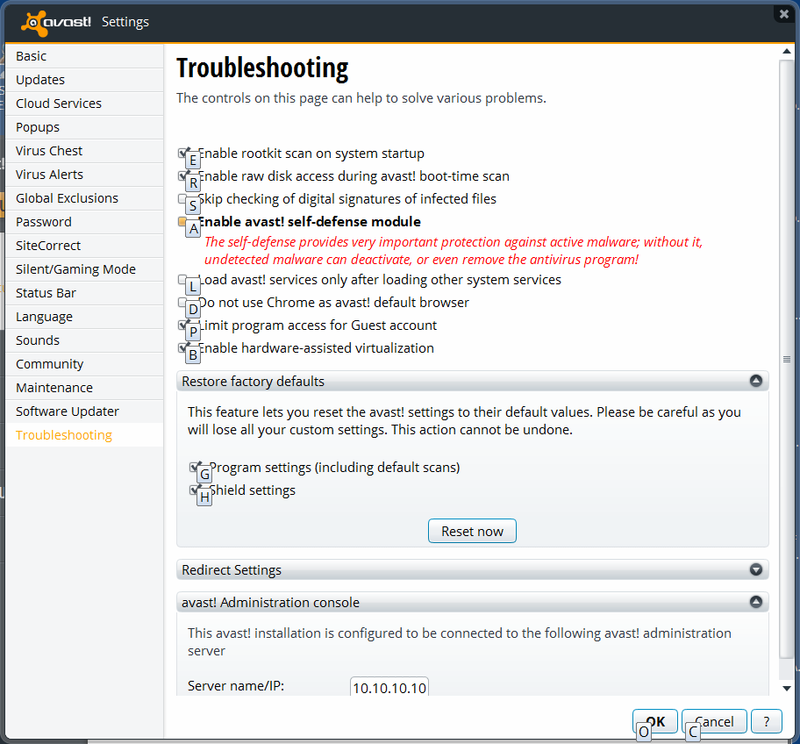 NOTE: If you did NOT change the default location during installation, then you may leave / ignore the top 2 locations as “unchanged” If multiple different avast! versions were installed, you may close and reopen ASWCLEAR and select a different version. I have done them all before when unknown. Please let me what I can do to help, and have a great day!